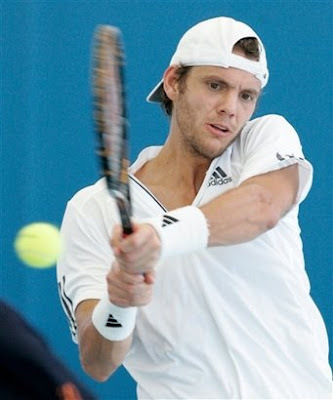 Paul-Henri Mathieu has claimed a spot in the semifinals of the Brisbane International with a 6-3, 6-4 win over Japanese Kei Nishikori. 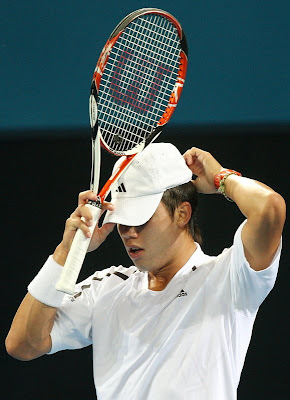 Kei didn't look fine after a medical time out before the 4th game in the second set. Now Frenchman Mathieu who is the world no. 31 will play against Fernando Verdasco next in the semifinals after the Spaniard beat another Frenchman, Florent Serra. Earlier this week in, after playing mini tennis with kids in downtown Brisbane, Kei was interviewed by ATP. He discussed about his breakout 2008 season, his 2009 hopes and how he lost five straight sets to Radek Stepanek in practice during the off season.